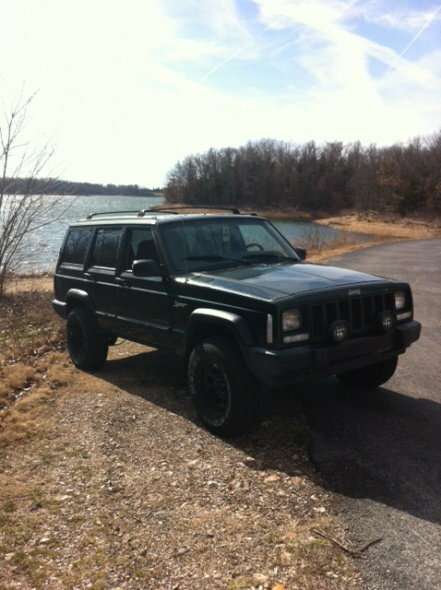 Hey guys I know a lot of you are close to Kansas City or St. Louis, but is anyone close to Springfield, MO that would want to meet up and do some kind of drive/wheeling weekend? I have the weekends free, but I'm a college kid so a long drive is out of my budget lol. 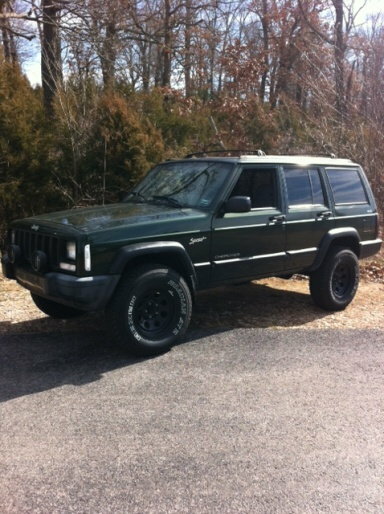 I'm a basically stock XJ though so might have to do something easy for me. 2" lift and 30 x 9.5 tires. Stopped by Fellows Lake in Springfield before work to take a few updated pics! me and my buddy are from republic. hes got a 91 on 3.5/31s and i got a 99 on 4.5/33s. pm me ur number and next time we go out ill let you know. theres a few light trails around. Sounds good man. I just PMed you. Ya Branson wouldn't be bad. 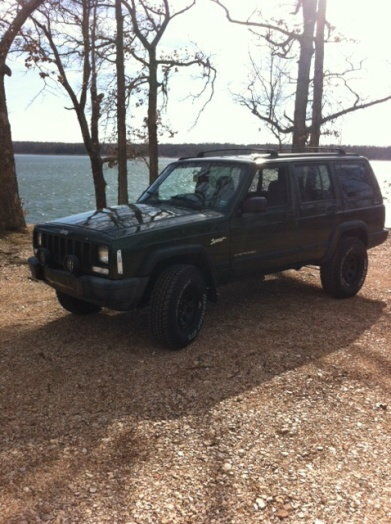 We should get a bunch of cherokees and just go on a drive or something. Hey there!! 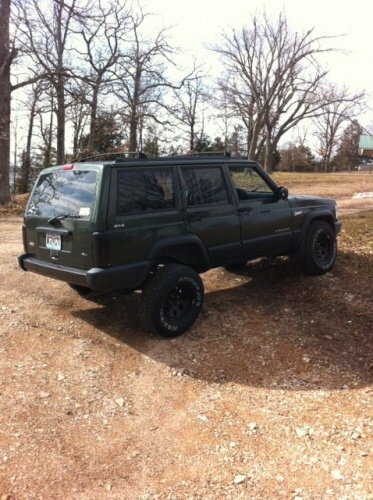 I live in repo and have a 2000 Cherokee 4in lift on 31's. I would be down for a weekend trip or just a day!! I just saw your jeep the other day, on 60 coming from billings(ish). sadly i wasnt in my XJ, i was in the DD. So are you a Bear or Panther, and is that Fellows Lake behind your rig? Ya that could a been me! It has two black doors on the passenger side and a black hood. The rest is white. 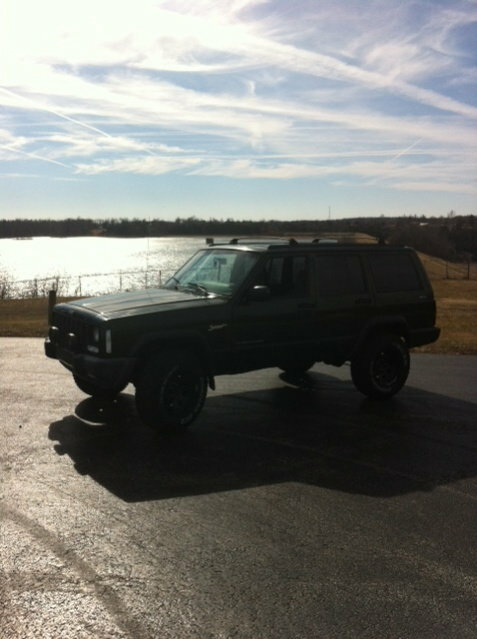 I bought it two weeks ago and almost but 1000 miles on it cause I miss driving the good jeep again! 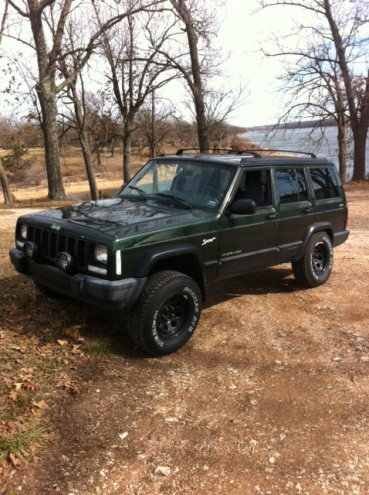 I had a 97 green xj with 6in lift and 35s for about a year and decided the I would sell it. I will never do that **** again!! I am keeping this forever!! whats everyone think of having a get together at like bww or hooters? just have some wings and look at jeeps. whats a good night for everyone? I'm a Bear lol. 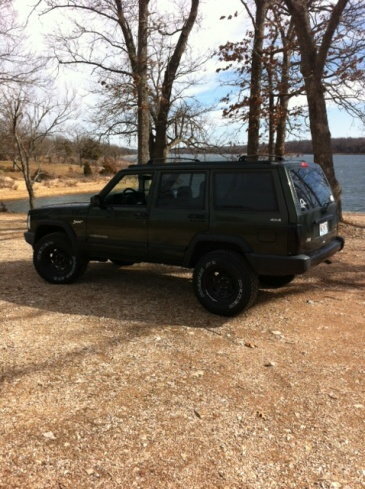 And yes that's Fellows Lake behind the Jeep. Great spot to do a little fishing if anybody would like to do that. I'm good for any night, or weekend, to meet up and do a little jeep spectating. I work at Bass Pro Shops and get off at 8:00 pm every night. I have Saturday and Sunday off tho. I'd love to throw a line in the lake again, but it'll be a few months before I can make that 1500 mile drive! My only nights off are Tuesday and Wednesday sounds fun though. I am good with what ever I work this weekend but 3 day weekend next week!!! yahoo gotta love working for the government sometimes! I get off at aound 5-6 during the week too so I would be down for meeting up and having a good time with some Fellow Cherokee lovers! Quick Reply: Springfield, MO area?